Les Allen, father of England international and future Chelsea player Clive, was a neat, ball playing, inside or centre forward and one of Ted Drakes many youung signings for Chelsea. His first team opportunities were limited due to keen competition for places and he was eventually allowed to move on to Tottenham Hotspur, as part of the deal that saw Johnny Brooks coming the other way. Les was an integral part of Spurs' double winning side in 1960/61, playing in every game and scoring 23 goals. He latterly went on to manage Swindon Town. i.e. 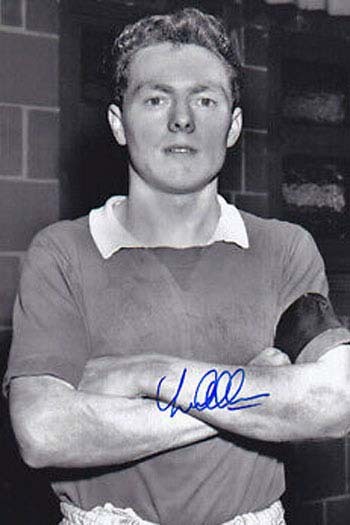 Les Allen made 49 appearances for Chelsea, of which 0 were as a substitute.